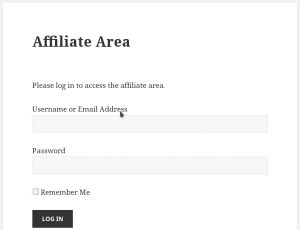 Today I will show you How to start earning in the Affiliate Business on sites using Affiliates, Affiliates Pro or Affiliates Enterprise plugins for WordPress. It takes less than a minute and it only requires you to submit a registration form. The whole process takes place in a single page which is used for registration, login and also acts as the control panel for affiliates. Let’s have a look at this page, what it looks like and what happens upon a registration. 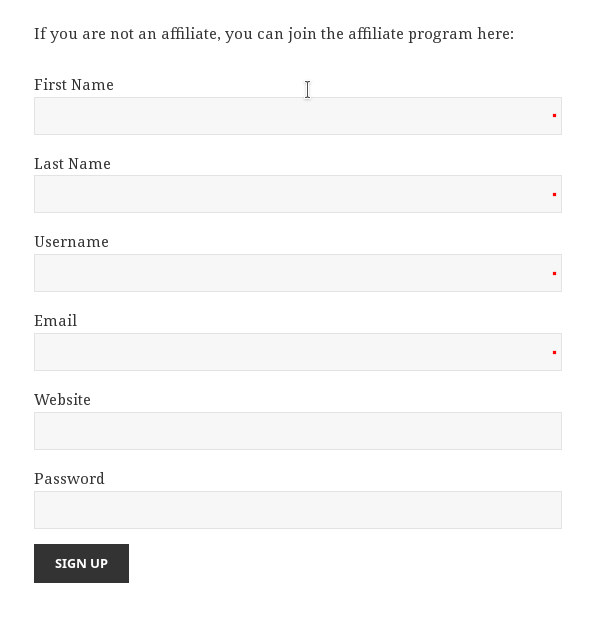 How to register as a new affiliate? By default the page renders two forms, the login and the registration form. The login form is described later on, so let’s have a look at the registration process. Here you can see the fields requested. There are required and optional fields. Required fields are easily distinguished by the red dot, or by a similar mark depending on your active Theme and color style. The affiliates registration form is special. 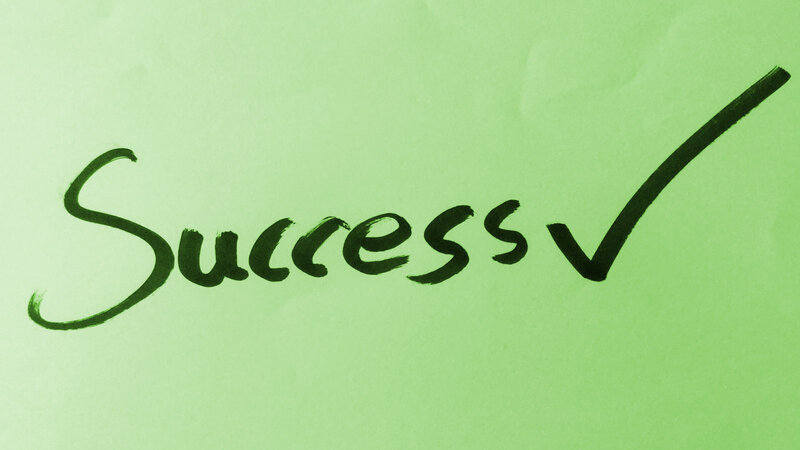 Apart from creating a new user entry on submit, it will also link the new user to a new affiliate entry. Whenever someone registers through this form will have a user and an affiliate entry, simultaneously seamlessly and without further action. After the registration is complete, it’s time to use the control panel. 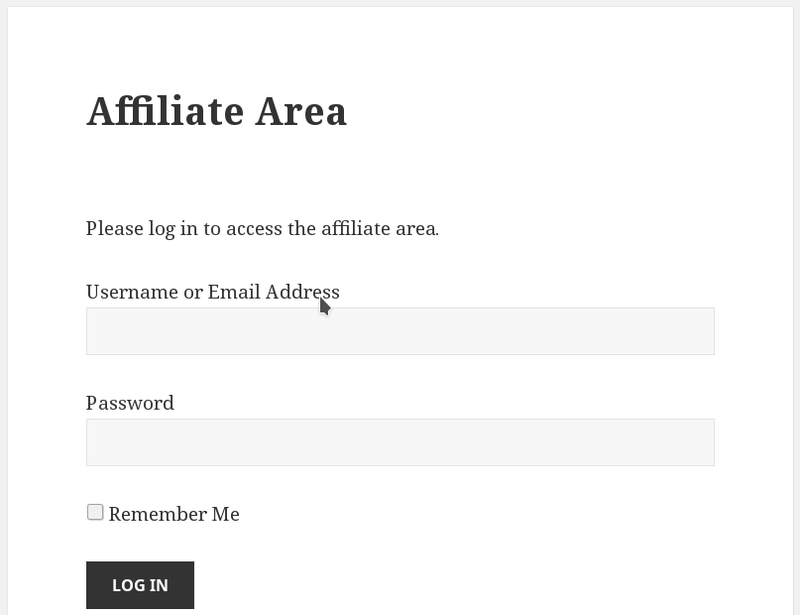 How can an affiliate access their control panel? On top of this page, a login form appears. The login form is the standard WordPress form, used to access to the affiliates control panel. Affiliates should visit the page and login with their credentials in order to view to all the supported tools. 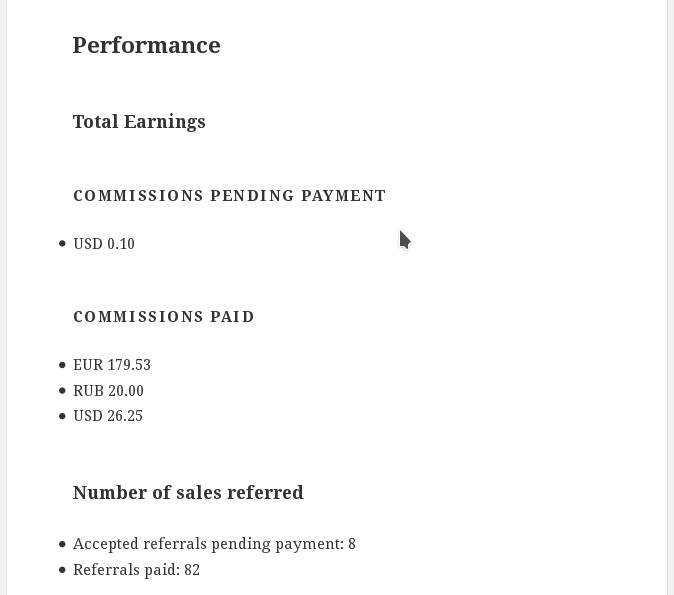 The system automatically renders data per affiliate respectively. Each affiliate will be able to see only their data, so affiliate with id 1 won’t be able to see tools and statistics for affiliate with id 2 and vice versa. As I mentioned this page renders the essential info to start promoting when an affiliate logs in. 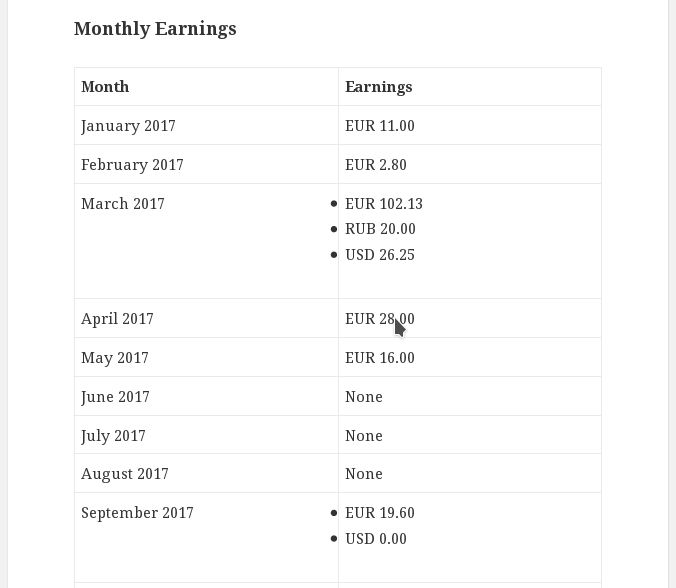 a summary of monthly earnings. Please note that for a new affiliate the stats will obviously be zero. According to the basic idea of Affiliate Marketing, whenever a visitor clicks on an affiliate link, the visitor goes to the site running the affiliate program. If that visitor completes an action there, ie a purchase, the affiliate will be credited with a referral and a commission. This is the part that converts each site link to an affiliate link and whenever it is clicked, it stores a cookie to the user’s browser. This link is an affiliate link to an awesome product. Whenever a visitor clicks on this link and buys this product, the affiliate with id 2 will be credited with a referral and therefore a commission. Being an affiliate has never been easier. All it takes is a registration and you are ready to start promoting. I have been trying to understand the affiliate program and this is the first time I have. Thank you for writing this in a great way for those of us who are NOT tech savvy. Glad to help you and many thanks for your feedback! The main purpose was exactly this, to keep it simple and straight-forward.